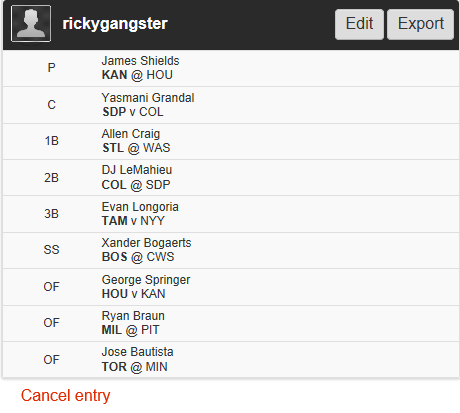 Another solid day over at Fan Duel, I hope you have been following along and been making some $$$. James Shields vs. Houston Astros – SHIELDS vs. THE ASTROS!!!!! !